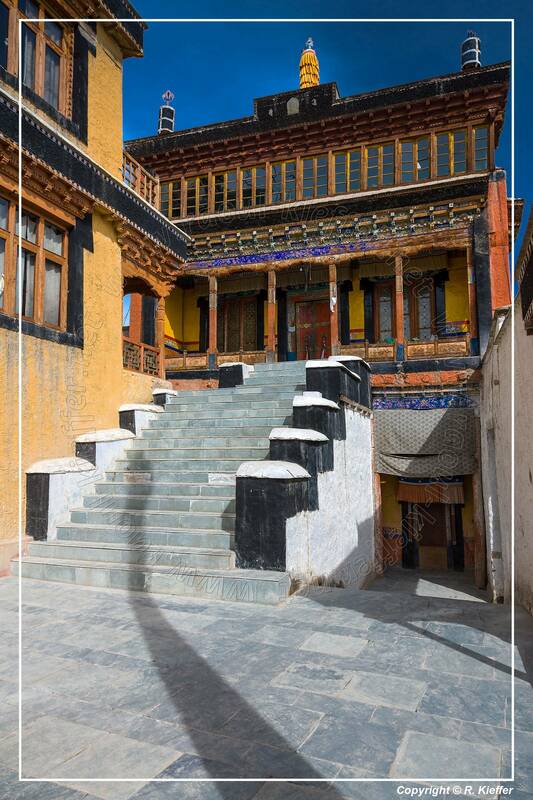 Thiksey Gompa (Thiksay Gompa), a Yellow Hat (Gelugpa) Buddhist monastery, is located east of Leh at an altitude of 3,600 m. The monastery is a 12-storey complex, noted for its images and mural paintings of Buddhist art displayed variously in its stupas, statues, thangkas, wall paintings and swords. 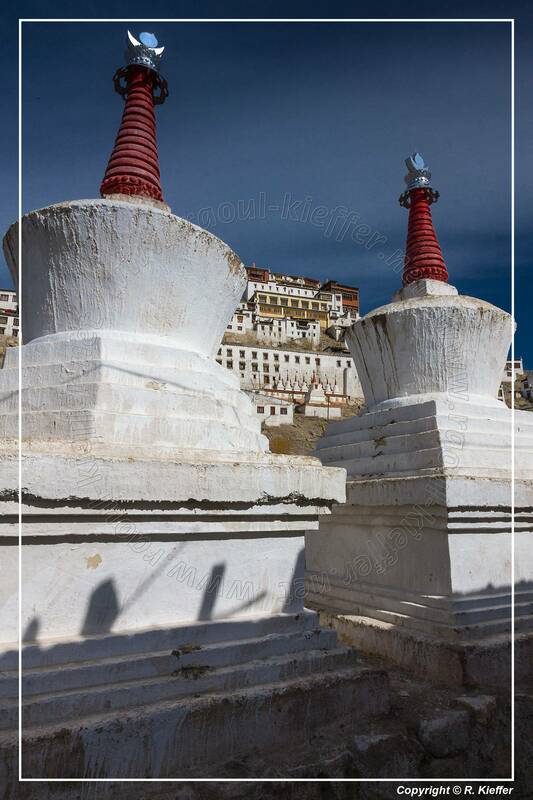 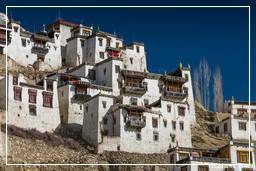 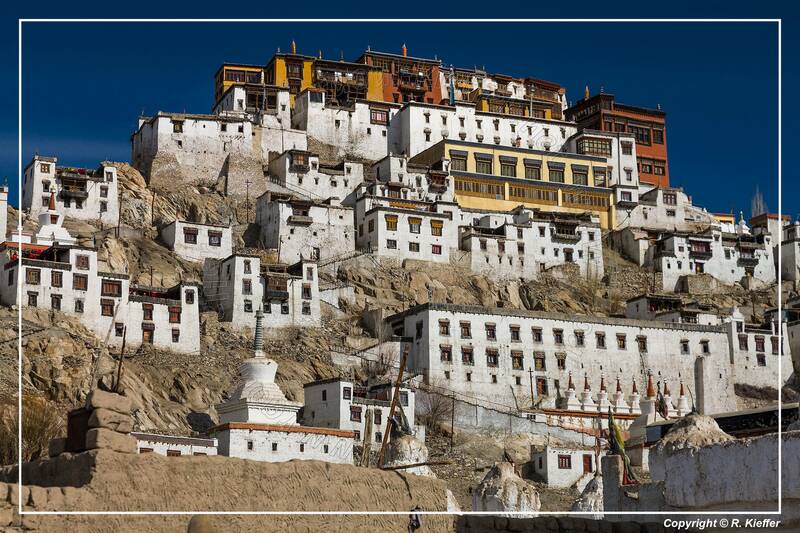 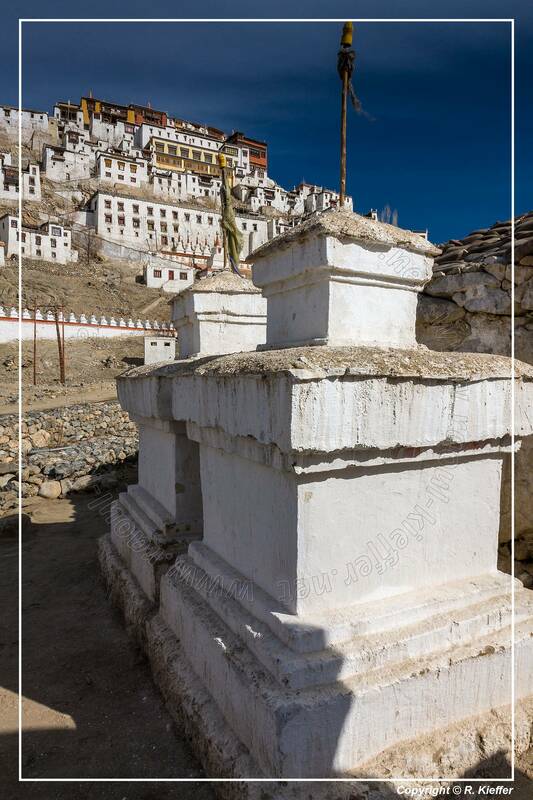 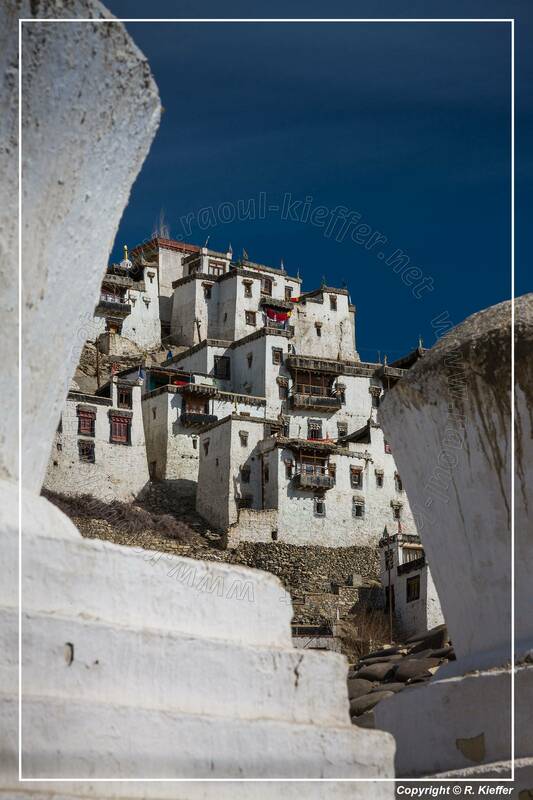 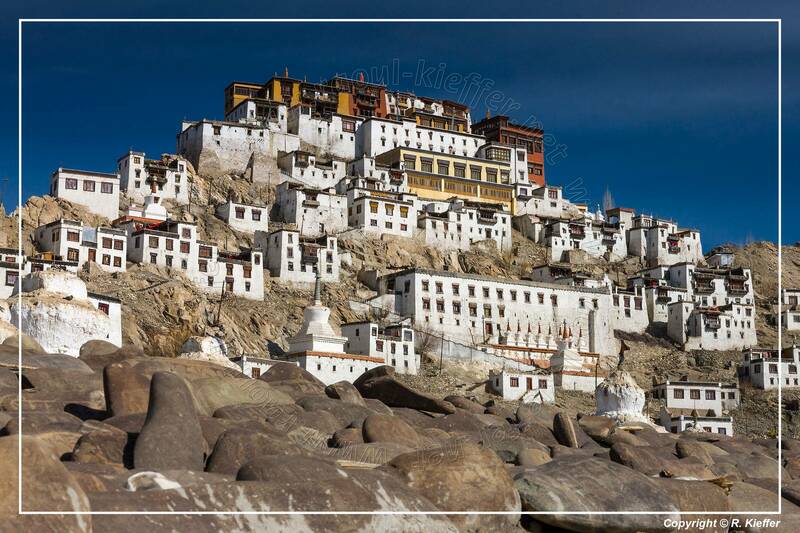 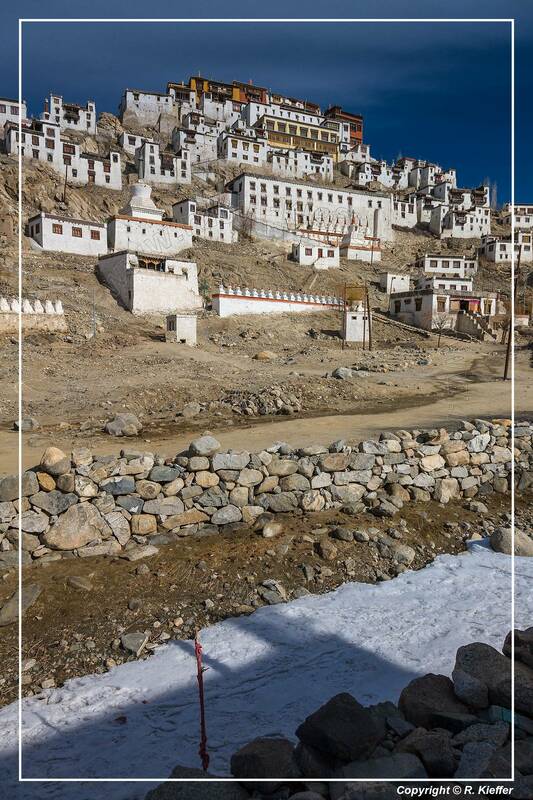 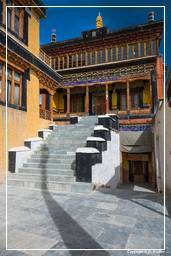 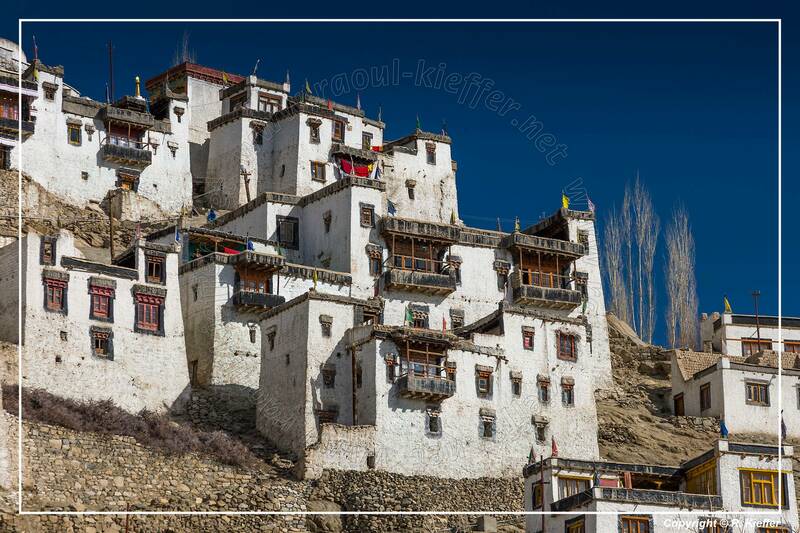 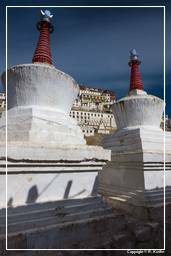 One of the main points of interest is the Maitreya (future Buddha) Temple erected to commemorate visit of the 14th Dalai Lama to this monastery in 1970. 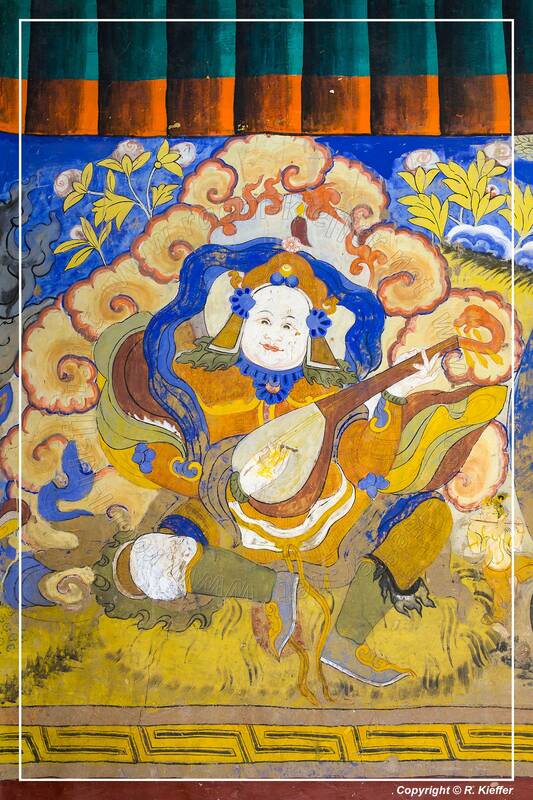 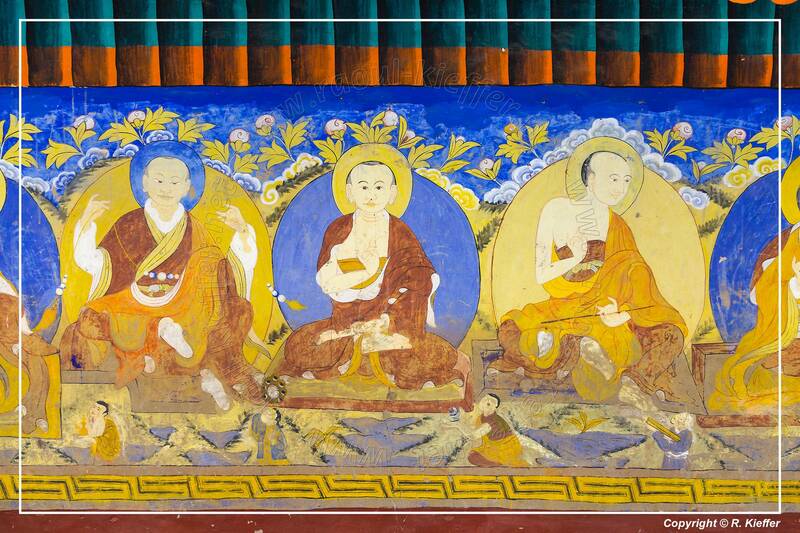 In the early 15th century, Tsongkhapa, the founder of the reformed Gelugpa School (the Yellow hat sect), sent six of his disciples to remote regions of Tibet to spread the teachings of the new school. 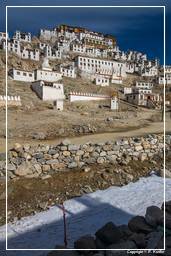 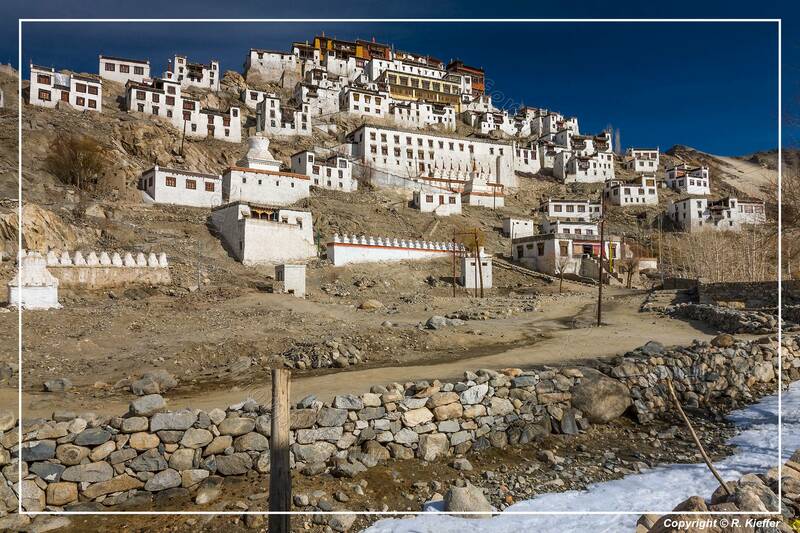 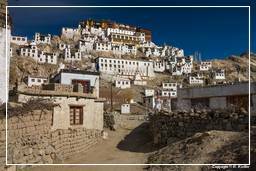 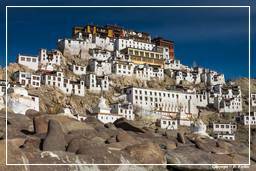 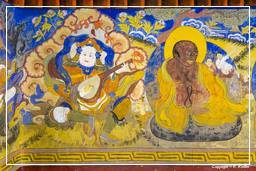 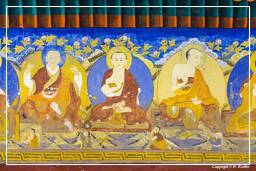 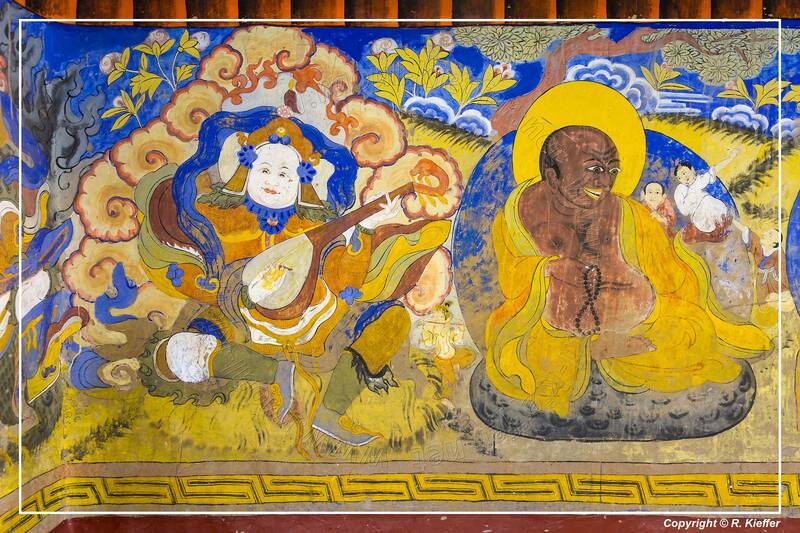 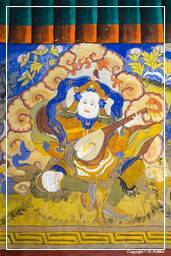 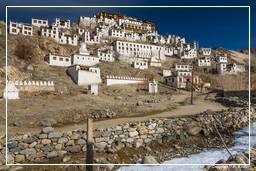 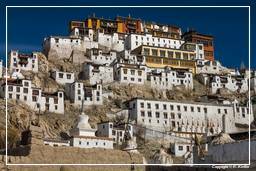 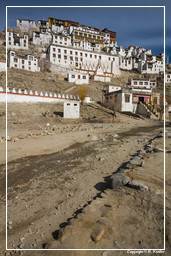 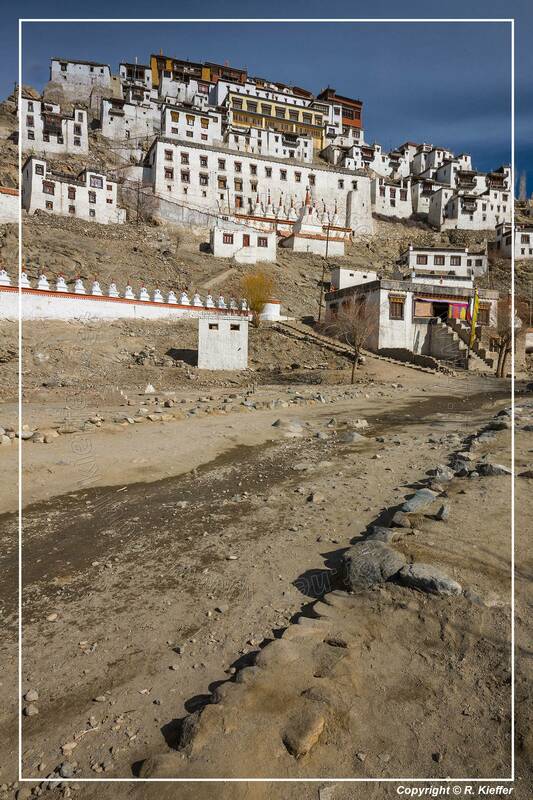 One of them was Sherab Sangpo who founded a small village monastery which became the Thiksey Gompa.